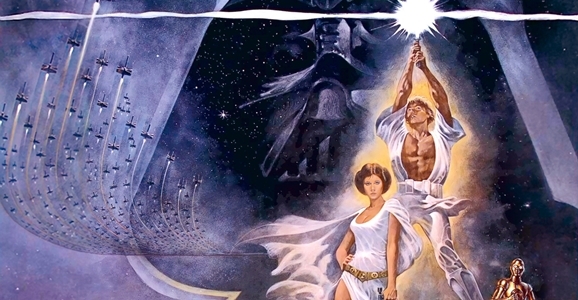 In 1977, the original Star Wars became a surprise pop culture phenomenon and big box office earner. With the success of director George Lucas’ film, Hollywood’s love for the space opera garnered Star Wars 10 Academy Award nominations, including Best Picture, Best Director, and Best Original Screenplay. While the film won six of the 10 categories it was nominated for (it also won an honorary award for special effects), Lucas and his film lost out to director Woody Allen and his romantic comedy Annie Hall for Best Director and Best Picture, respectively. Today Star Wars is seen not only as the beginning (for better or worse) of the blockbuster era in Hollywood, but also as a landmark in modern special effects and film-making. While Annie Hall is arguably Woody Allen’s best film, many believe Star Wars should have won the Academy Award for Best Picture during the 50th Academy Awards in 1978. Star Wars did walk away with six Academy Awards, including Best Score for John Williams, Best Costume Design, and Best Art Direction, and Best Editing. Genre movies like Star Wars usually win all of the technical awards, while films that are considered more substantive like Annie Hall win a majority of the artistic awards. In fact, Annie Hall won four Oscars in 1978, including Best Original Screenplay and Best Female Actor in a Leading Role for Diane Keaton.